Many people are going to say that I'm biased for putting my teammate in here, but he deserves this honor. Knowlton had a great junior season after a sophomore campaign that he was not happy with. Christian's first big race last year was the Joliet Steelman Invite where he beat York All-Stater Sean MacGregor to get his first varsity win. Knowlton continued his assault by winning the SPC Championship against arguably the two best runners in Matt Blanco of Oswego East and Omar Paramo of Plainfield North. 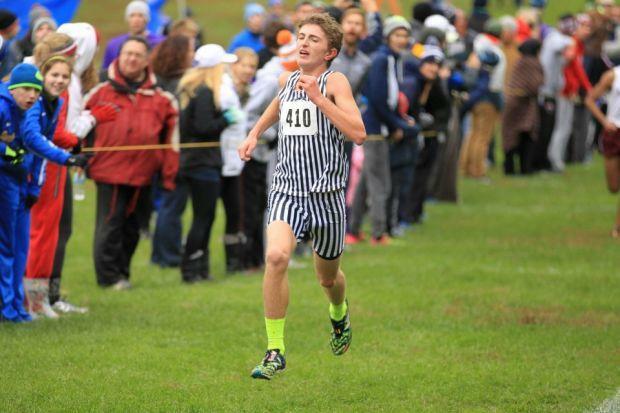 Lastly, Knowlton took 55th at state with a 15:10 and again impressed people. Knowlton entered the track season with unfinished business. His best race had to have been at Distance Night in Palatine where he ran a 4:22.47 to win Section 1 of the 1600m. He ran that time after going to prom the night before and running the 4x800m and Mile earlier that day at the Lake Forest Invite. Knowlton had been running the 1600m quite often during the season, but he changed it up at the Stephen P. Hunt Memorial Invite and entered the 3200m for only the 3rd time and ran 9:29.20. It is my opinion that Knowlton could possibly be a top 10 runner in the state this year. I have been around him a lot this summer and he is training like his life depends on it.